It’s our Adopt a Pet of the Day – Meet Fanny the Dog! I can’t believe Fanny has been in the shelter system for SEVEN years that’s crazy. When you read more about her on their adoption post you will be surprised too. This lovely gal will fit in nicely to a lot of families, they just need a family that is active, has older children and no cats. Go to her original post to find out more! We will feature pets across Canada and the United States so read on and feel free to share, you never know who you will reach! If you’re not going to have it be indoors with you the majority of the time, give it lots of love, prepared to pay vet bills in an emergency and make a life time commitment then a pet is not for you. This is something we are passionate about and really want to get the message across to adopt not shop and that it’s a lifetime commitment of love! It’s important for everyone to understand that those seven years spent in a shelter are not Fanny’s doing. Fanny is a good girl who has simply been dealt an unlucky hand (or, should we say paw?) in life. Fanny is a wonderful companion dog and she is looking for someone to do more with than just watch TV. Fanny is seeking an active household. She would love to find a human or a family who is passionate about life. Why waste this precious existence sitting around doing nothing when you can do anything? Even if that “anything” is just a stroll around the neighborhood, that’s enjoying life and all its sights and smells it has to offer. So if you think like that, like Fanny does, this is the girl for you! I think Fanny is an adorable dog. So sad that she’s been in the shelter for so long. Hard to believe. Makes me want to cry. Today, I’m posting too quickly. I don’t know if my comment went through or not. I’m not repeating it. Sadly, I live on the East coast and can’t give Fanny a home. As a pet adopter myself, I encourage it heartily. It’s worth it. 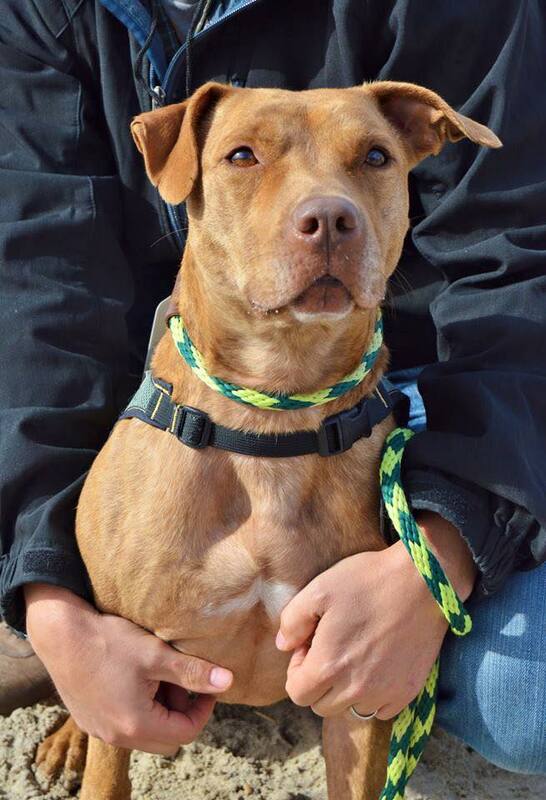 Fanny is a beautiful dog and looks so sweet! We are firm believers in pound dogs and I hope she’s adopted soon! Thank you sharing and this is so sad….I hope she finds a home soon!!!! Beautiful dog! Great post! Must check out Susie’s Senior Dogs!